Sciblogs | Criminal investigation of MH17 tragedy – where is it at? Criminal investigation of MH17 tragedy – where is it at? I thought this der Spiegel interview with Fred Westerbeke about the ongoing criminal investigation of the MH17 tragedy could be of interest. Especially as I have been accused of ignoring the “official version” of the incident. At least this investigator is relatively open-minded – although I am concerned at the time the investigation is taking and the fact that even now they are only “preparing a request for assistance” from the Russian Federation about their radar records, and “remain in contact with the United States to get satellite images.” I would have thought these would be acted on much earlier. Fred Westerbeke, born in 1962, directs the Dutch public prosecutor, the Department for investigations of terrorism and organized crime at home and abroad. He is coordinating the criminal processing in the MH17 case. As part of a joint investigation Commission (JIT) Malaysia, Australia and the Ukraine are also involved in it. I have relied on Google Translate so please excuse the inevitable quaintness of the result. 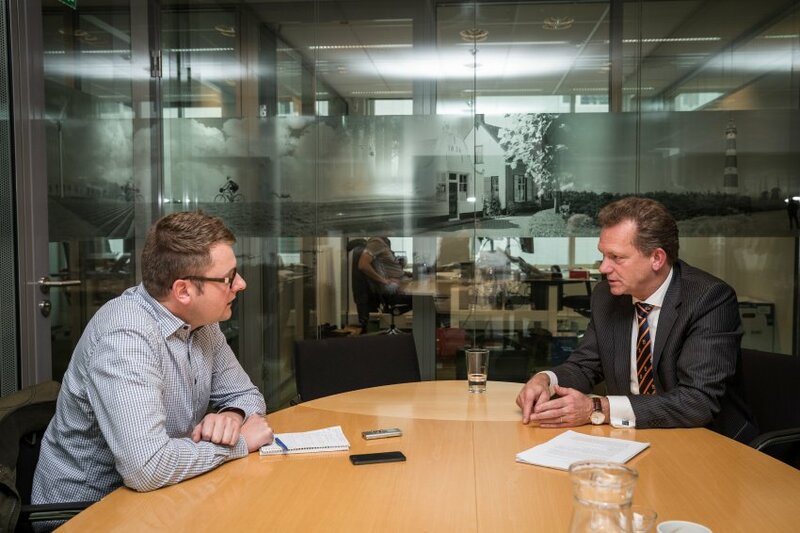 Der Spiegel interviews Fred Westerbeke from the Dutch Department for investigations of terrorism and organized crime at home and abroad. SPIEGEL ONLINE: Mr. Westerbeke, your job as chief prosecutor sounds hardly solvable: MH17 flight was shot down over a civil war zone, even now, three months later, your crime scene investigator for is not available. What gives you hope someday to be able to bring someone to court? Westerbeke: The Netherlands does not determine in the case so alone. There is a very good cooperation with police and prosecutors, especially in Malaysia, Australia and the Ukraine. BTW, we can gain a lot of experience with similar cases, in connection with the genocide in Rwanda, for example, or with war crimes in Afghanistan. Also there you will find hardly any witnesses, no written documents that could be used as evidence. So As to your question: It is not easy. But we can do it. SPIEGEL ONLINE: In what period of time? SPIEGEL ONLINE: … the bombing of a Pan Am jumbo in December 1988 with 270 deaths. Westerbeke: At that time, it took three years before you could name those responsible. I do not mean that it will take a long time just as in MH17 flight, but it takes a long breath. We will certainly need the whole next year for our work, and perhaps even longer. SPIEGEL ONLINE: The Federal Intelligence Service BND assumes that pro-Russian separatists have shot down the machine with a surface to air missile. Recently some German parliamentarians corresponding satellite images were presented. Do you know these recordings? Westerbeke: Unfortunately, we do not know to what images it involved concrete. The problem is that there are very many different satellite images: Some of them can be found on the Internet, others come from foreign intelligence agencies. SPIEGEL ONLINE: High-resolution images, for example from US spy satellites could play a crucial role in the investigation of the case. Did you get those shots of the Americans? Westerbeke: We are not sure if we already have everything, or whether there are more – material that may be even more specific. What we present is certainly not enough to draw any conclusions. We remain in contact with the United States to get satellite images. SPIEGEL ONLINE: The shooting down of flight MH17 is the biggest criminal case in the history of your country, it says. How many investigators are currently working? Westerbeke: In the Netherlands alone there are ten prosecutors. Three of them coordinate the investigation, two work at the international level. Two more are responsible for the care of relatives. In addition, forensic experts, also around 80 policemen. There are regular meetings with colleagues from Malaysia, Australia and the Ukraine, to divide the work. SPIEGEL ONLINE: Because being fought at the crash site again and again, was so far none of your investigators on site, about to collect debris. But that would be important only to determine the weapon system used. On which tracks you rely instead? Westerbeke: There are metal fragments that were found in the bodies of the dead and in pieces of luggage. This could be shrapnel from a rocket-Buk, possibly also parts of the aircraft itself. We analyze this, so far there are no results. We also have some witnesses who were on the spot immediately after the crash. In the Internet we spot an immense amount of information, we also various recordings of telephone conversations before, which has recorded the Ukrainian police. Some of it is already available online, but we did get richer material. SPIEGEL ONLINE: So far, there is no indisputable evidence? Westerbeke: Yes. If you look in the newspapers, however, it always looks as if quite clear what happened to the aircraft and who is to blame. But if we really want to bring the perpetrators to justice or, we need evidence and more than a recorded phone call from the internet or photos of the crash site. That’s why we not only attract a scenario into consideration, but several. SPIEGEL ONLINE: What are the scenarios? Westerbeke: … fall off the accident and the terror scenario. The other two remain. SPIEGEL ONLINE: Moscow circulated for some time, the version, the passenger plane had been shot down by a Ukrainian fighter jet. Do you think it possible? Westerbeke: Based on the available information, the launch is by a ground-to-air missile in my eyes is still the most likely scenario. But we do not close our eyes to the possibility that it might have been different. SPIEGEL ONLINE: In the OVV report states that there were no military jets in the vicinity have been. Westerbeke: Right. But this statement is based on information that was available at the time the OVV. The question is: Do the Russians possibly more? SPIEGEL ONLINE: Your Prime Minister Mark Rutte has recently criticized Vladimir Putin because of his lack of support in the MH17 case. What is the role of Russia in the investigation? Westerbeke: At the moment, no large, since it is not part of the investigation team. We are preparing a request for assistance, in which we ask Moscow to information that could be important for us. Among other things, those radar data with which the Russians wanted to prove the presence of a Ukrainian military jet near MH17 after the crash. SPIEGEL ONLINE: If you actually draw the participation of the Ukrainian Air Force on firing of flight MH17 into consideration – is it not absurd that Ukraine is involved in the investigation? Westerbeke: Of course that’s a problem. But we can not determine without them. I want a way to make it clear: We have no evidence that Kiev would not handle completely open with us. You give us all the information we want. SPIEGEL ONLINE: In the eastern Ukraine, the winter is coming. Is there any chance that it still create your investigators this year at the crash site? Westerbeke: At the moment I do not think the right thing. It is there still very dangerous. Therefore, we work with the OVV on a plan B – if we can not get to the crash site itself, we need the debris just brought here by other means. SPIEGEL ONLINE: Suppose there is actually one day to the process – where would the place? Westerbeke: With a possible process we now deal not us. We first want to spend all resources to find those responsible for this crime. If you however ask the Netherlands, we would certainly ready to make those suspected of committing the process here. SPIEGEL ONLINE: Unknown have been entered in the case MH17 about a German private investigator $ 30 million bounty. Will you also, launch a reward? Westerbeke: So something is done more often in complicated cases. But currently we have no intention and it will certainly never go to 30 million. Incidentally, I caution anyone from making transactions with these people: No one knows who they are and what intentions they pursue.